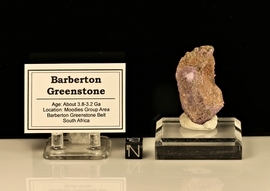 Barberton Greenstone South Africa - Oldest Rocks on the African Continent Greenstone Belts get their name from the green color due to an abundance of chlorite. These Greenstone Belts have been found in Africa, Asia, Europe, North American, South America and parts of Oceania. The rocks are typically within igneous and metamorphic basalts, granites and gneiss; but can range from chert and quartzose sandstone to volcanic and shale deposits. 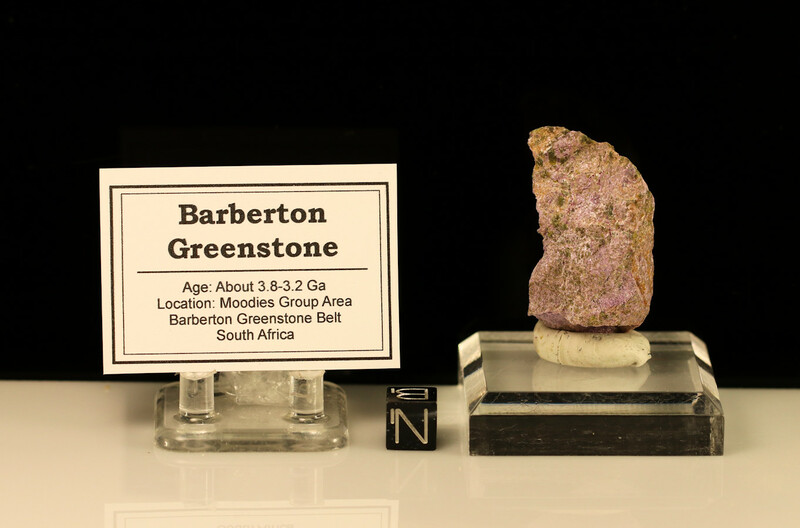 The best known Greenstone Belt in the world is the South Africa Barberton Greenstone Belt, where gold was first discovered in South Africa. This Belt was first uniquely identified by Prof Annhauser at the University of the Witwatersrand, Johannesburg, South Africa. 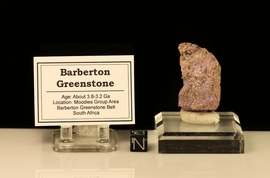 His work in mapping and detailing the characteristics of the Barberton Greenstone Belt has been used as a guide for other Greenstone Belts around the world. Bodies of iron oxide up to 200 m across in the 3.5�3.2 Ga Barberton greenstone belt, Moodies Group, South Africa, have been interpreted as deposits of Archean seafloor hydrothermal vents. The entire Barberton Greenstone Belt has been subjected to repeated stages of deformation, resulting in folding, faulting and shearing with appreciable deformation and metamorphism linked to successive granitic intrusions. This Belt has provided an exceptional geological portal for observing the complex geological environments on the early Earth. Site location: This is one of our best specimens that comes from the Barberton Greenstone Belt, Moodies Group area, South Africa. The greenstone series includes: stichtite, talc, barbertonite and are part of a suite that are the oldest rocks on the continent of Africa. This specimen has all the colors a premium specimen should have! Ships in display box with Certificate of Authenticity, tag and information about the specimen. Stands and cube not included. Great specimen! Both front and back pictures are presented here.